The uM-FPU V3.1 floating point coprocessor is easily interfaced with Microchip Technology PIC® microcontrollers, and programmed using the PICBASIC PRO™ compiler from microEngineering Labs, to provide support for 32-bit floating point and 32-bit long integer operations. 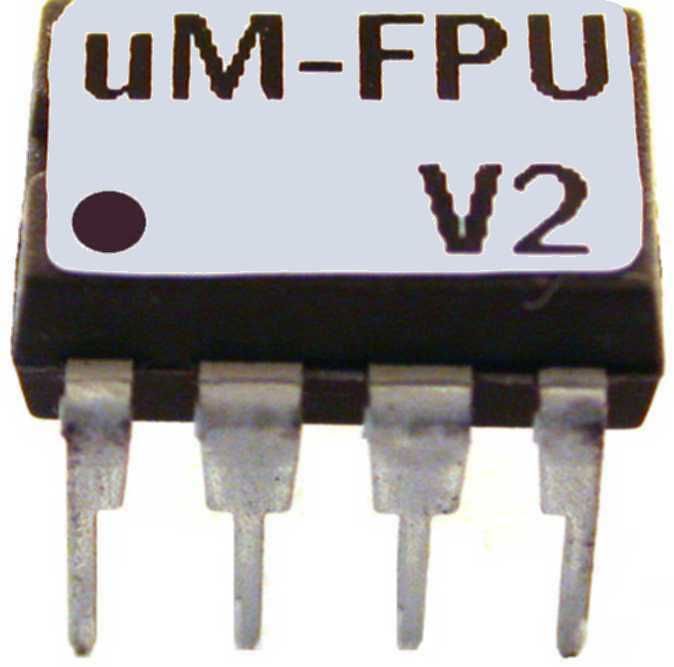 The uM-FPU V3.1 chip supports both SPI and I2C connections. See the microEngineering Labs website for information regarding the PICBASIC PRO compiler. Reference guide for using uM-FPU V3.1 chip with the PICBASIC PRO compiler. See Application Notes for descriptions and sample programs that show how to use the uM-FPU chips in various applications. Interface routines and sample code for using the PICBASIC PRO compiler with the uM-FPU V3.1 chip. Reference guide for using uM-FPU V2 and the PIicBasic Pro Compiler. Interface routines for the BASIC Stamp.